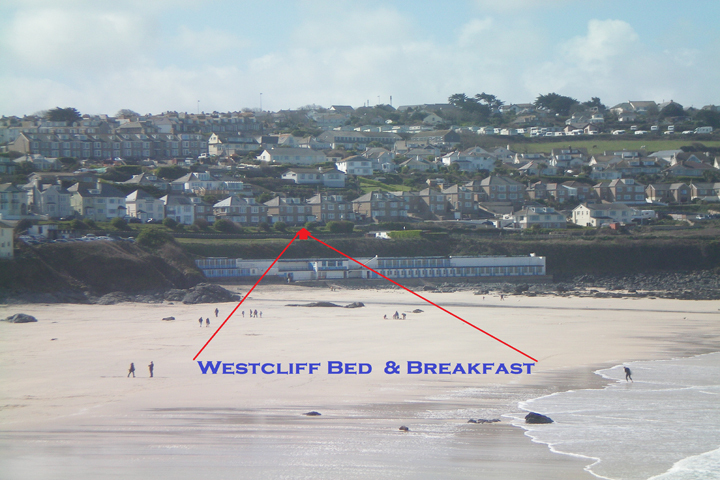 Westcliff is superbly situated facing the golden sands of Porthmeor Beach and the Atlantic Ocean. At Westcliff we offer bed and breakfast accommodation. 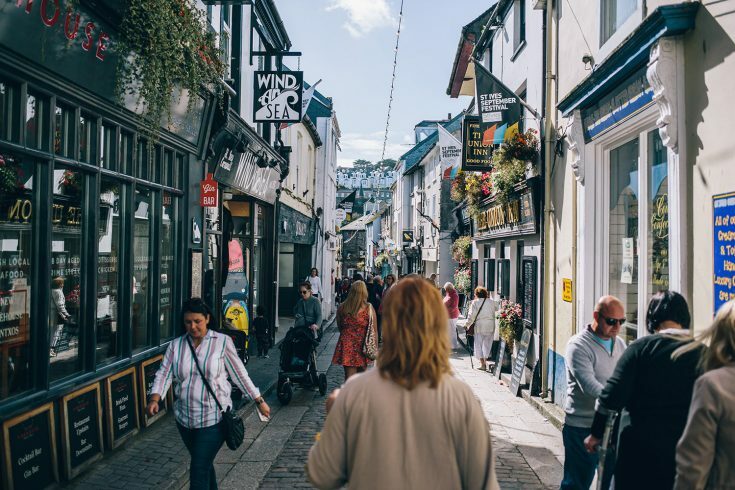 We do not provide lunch or an evening meal but there is a wide variety of restaurants just a few minutes gentle walk away in the harbour area and town centre. Westcliff is fully double-glazed and has central heating throughout. Guests have their own bedroom and house keys to use for unlimited access during their stay. 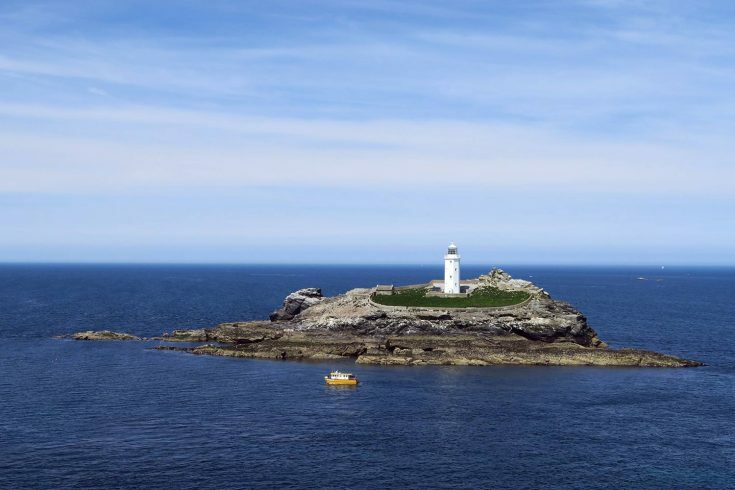 Directly opposite Westcliff is the footpath to the beach, the bowling and putting greens, and the South West Coast Path leading to the beautiful cliffs at Clodgy Point, Zennor and beyond. 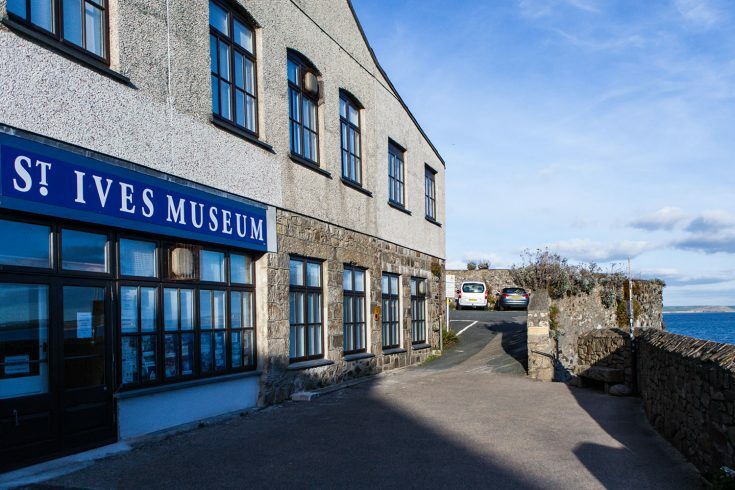 A quiet location yet the harbour, shops and other beaches are only a few minutes gentle walk away and the famous St Ives Tate Gallery is close by. Additional price per child if sharing the family room with two adults. Minimum three night booking during June, July, August, September Festival and at Bank Holidays. Deposit: A non-refundable deposit for the first night’s accommodation is required to secure all reservations. This payment can be made by debit or credit card over the phone. The balance is payable by card or cash on arrival. Follow the A30 through Cornwall to the Penzance/St. Ives/Hayle roundabout and take the second exit to St. Ives. Drive through Lelant and Carbis Bay, and into St. Ives passing the Tregenna Castle Hotel on the left. Where the road divides take the right fork leading down the hill, passing the St. Ives Harbour Hotel, and the bus and railway stations on the right. Follow on down to the crossroads and turn left here into Gabriel Street, between Library and the National Westminster Bank. At the next mini roundabout, beside the Stennack Old School Surgery on the right, turn right into Bullens Lane. At the top of this hill turn right, then follow the road round a sharp left hand bend heading down towards Porthmeor Beach and the Tate Gallery. Almost at the bottom of this steep hill, just before the bend, turn left into Beach Road. Westcliff is situated half way along on the left-hand side, opposite the entrance to the coastal footpath.